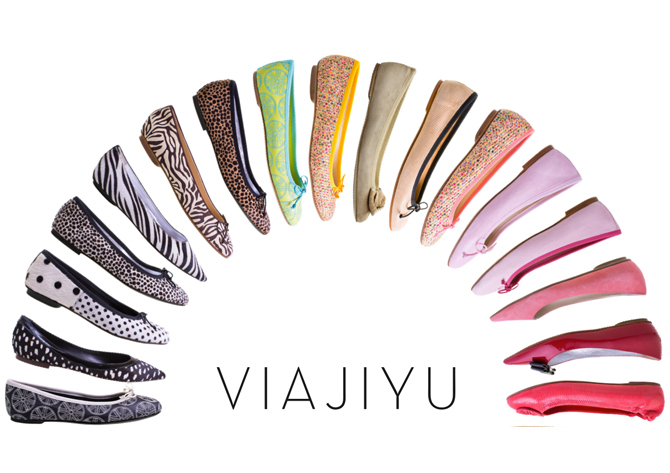 Last week I was invited along to an evening of shoe buying with the personalised footwear brand VIAJIYU. I know, tough gig. 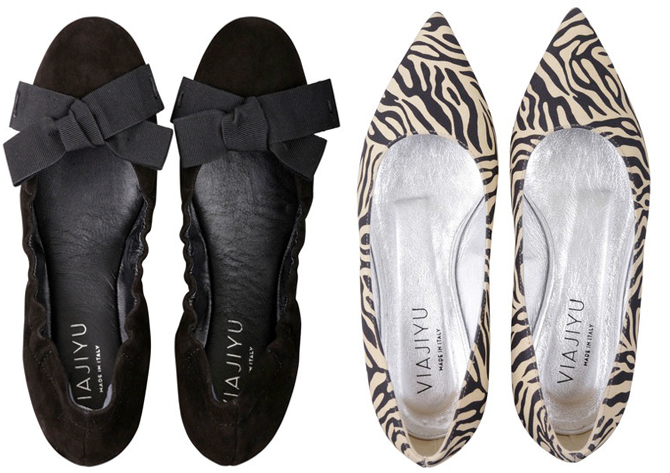 VIAJIYU aims to fill a gap for (admittedly affluent, prices start at around £230) working women who need great flat shoes that can get them from the plane (or the tube/bus if it’s you and me) to the boardroom to supper and home while all the while looking marvellous. Made from beautiful quality leathers, constructed in Italy by artisan shoe makers steeped in footwear traditions and available pretty much any which way you want in terms of colour, fabric and contrast trim, the shoes are something of a gift to anyone tired of wobbling about on heels. By sheer coincidence i bumped into The Perfume Society’s Jo Fairley recently wearing lovely flats. After exclaiming ‘lovely shoes Jo!’, I discovered that she too had bought them from VIAJIYU, from the company’s only store in Florence as she is a firm supporter of the brand, as she knows the founder Nicole Stills. She claimed they were incredibly comfortable and confessed to owning a number of pairs. The USP of the brand is that you can pick your own colour/fabric/trim/shape and bespoke your choice of shoe to be exclusive to you. There are many lovely colours and patterns on offer and ballerina flats come with a hidden small wedge to very slightly add shape to your ankles and an assortment of detachable bows, so if you are creative it could be a dream way to buy shoes. Indeed it could be a teeny bit addictive. I found it a bit overwhelming to have so much choice, and blithered about for ages wondering what might work best. Which is where Ellie Fennell comes in, the UK brand ambassador. Ellie can talk you through the many options and advice you on what works best, indeed she prefers to get involved in order to make the whole experience hugely enjoyable and fun for each buyer. At the evening I went to (more a mash-up of Walkers crisps, wine and gossip really) the super-busy working women put the shoes through their paces in terms of demanding requests- one person had different sized feet, which is no problem as each shoes is made by hand, instantly solving her life long problem of wearing one shoe either too big or too small. Everyone was impressed, the studded Comos and the Milano piccolo leopard print were favourites. I liked the fold up Portofino ballet pumps (useful), but bought the loafers in metallic silver. For anyone who rather fancies the idea of (almost) designing your own shoes to match your own wardrobe but finds the price hard to justify, perhaps the ‘gift box’ option at £279, might be quietly dropped into conversation/emailed with clear instructions as a potential very special birthday gift or Christmas present option? Just a thought. The box contains an invitation to personalise your own pair of shoes when ever suits you at Ellie’s showroom or via Skype, a personal visit or email. The company ships globally too, for free. Exquisite! But oh my the prices! Whilst I have no problem considering and purchasing a Grenson shoe for its craftmanship and quality, I can’t seem to justify the same argument with a Viajiyu shoe, as lovely as they are! 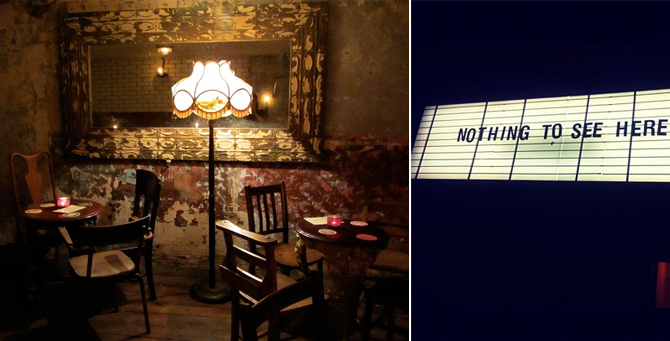 Over the last couple of years, Dalston has transformed from interestingly creative and slightly down at heel to an achingly hip, centre of cool….